The dimension along the stringer. The first number given when citing pallet dimensions. 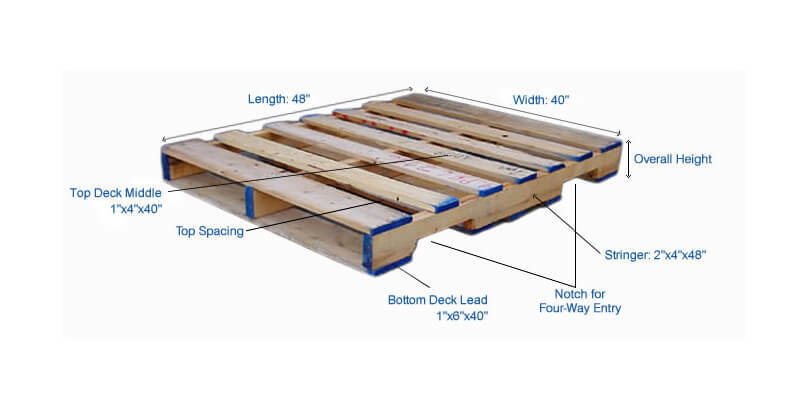 ie: a 48x40 pallet would have a stringer dimension of 48 inch and a deck board of 40 inch. The dimension of the deck board on a pallet. Always given as the second number when citing pallet dimensions. Longitudinal beam component of a pallet used to support the deck boards. A stringer with cut outs in the lower side to allow entry for forks. Individual component of the pallet deck, laid down at right angles to the stringer. The dimension along the stringer. 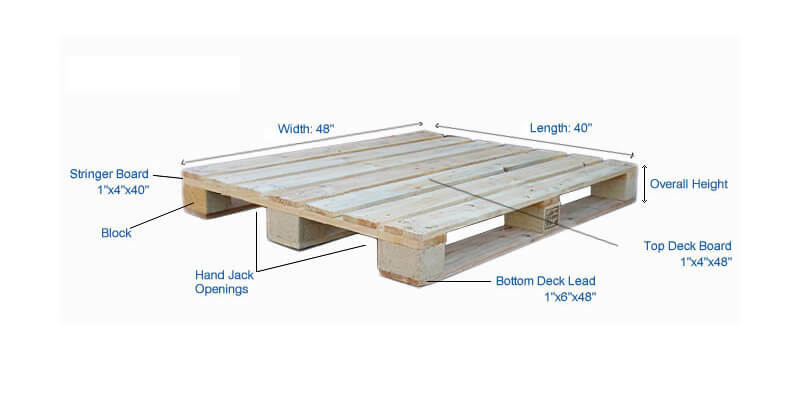 The first number given when citing pallet dimensions, ie: a 40x48 pallet would have a stringer dimension of 40 inch and a deck board of 48 inch.